A continuing show of the works of La Parete’s distinguished stable of artists. 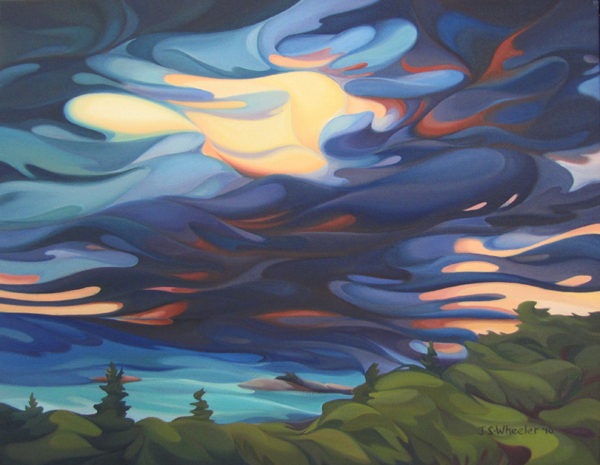 Gallery Hours: Wednesday to Saturday 11AM to 6PM. Gallery Hours: Monday to Friday 12 to 8PM, Saturday and Sunday 12 to 6PM. And don’t forget Edward Burtynski’s Oil opening at the ROM on Saturday, April 9, 2011. ROM hours: Monday to Thursday 10AM to 5:30PM; Friday 10AM to 8:30PM; Saturday and Sunday 10AM to 5:30PM. 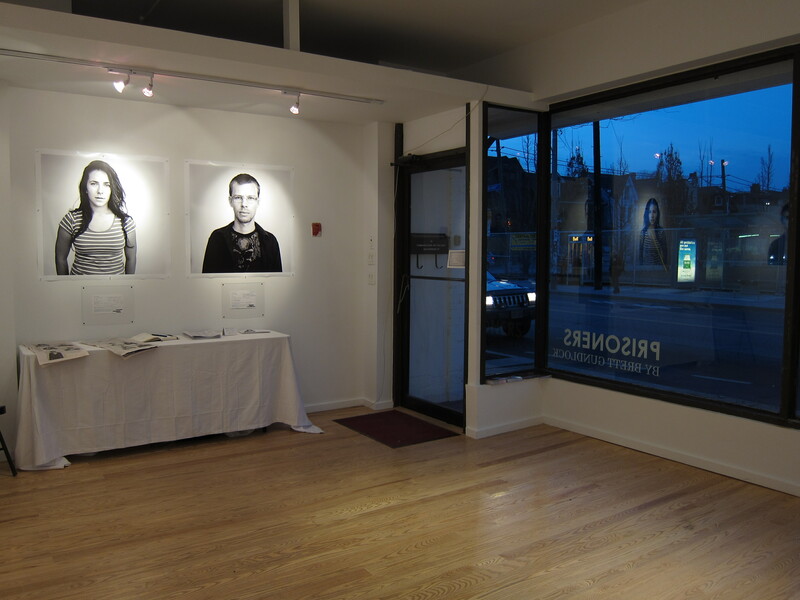 By West Annex News | Before the spectacular success of Prisoners, National Post photographer Brett Gundlock‘s compelling show combining portraits and stories of G-20 detainees, it was easy to overlook the Communication Art Gallery at 209 Harbord Street. We take pride in exploring the less-travelled corners of the neighbourhood, but the last block of Harbord Street before Bathurst, opposite the Central Technical school playing fields, has attracted only B-list chains, convenience stores and local amenities for years. After the departure of La Carrera Cycles to larger digs closer to Spadina, there seemed to be no reason to walk west of Lippincott Street on Harbord. But not in the imaginative mind of James Binnie, owner of Paint It Green, an environmental house painting company. Binnie, 36, grew up on nearby Albany Avenue and says he’s spent half his life between Harbord and Dupont, Bathurst and Spadina. 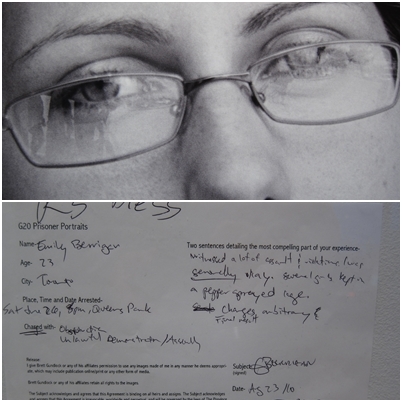 Driving on Harbord with a friend in 2009, they spotted an empty storefront at 211 Harbord, and mused that it would make a good art gallery. Then on his way to BC to work, Binnie says the idea preyed on his mind while he was away. But when he returned to Toronto, the space was rented. Eventually, Krispy Kreme took it over. Binnie felt his dream was not to be. 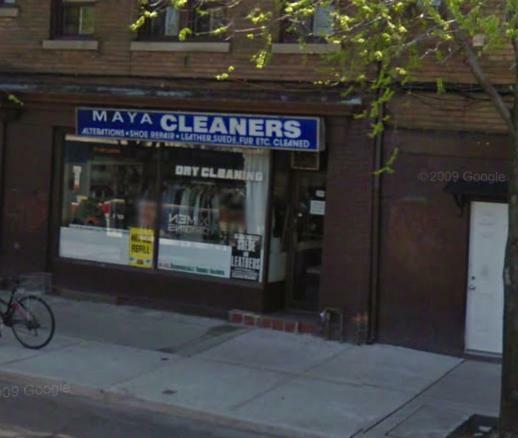 But then he heard that the owner of Maya Cleaning, right next door at 209 Harbord Street, had passed away and her space had become available to rent. Binnie snapped it up, and renovated it himself. He raised the ceiling, and installed hardwood floors and track lighting. He opened the gallery in September of 2010 with Garth Scheuer’s New Constructions, with the intention of bringing in a new show every month. 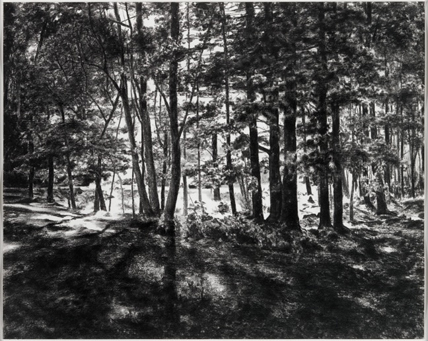 Brett Gundlock’s Prisoners is the gallery’s sixth show. 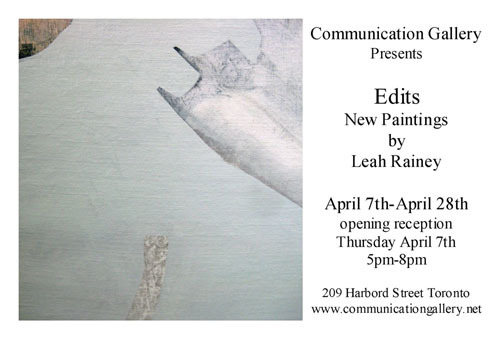 After it completes its run tomorrow, March 31st, Leah Rainey’s Edits, featuring her abstract paintings, moves in. 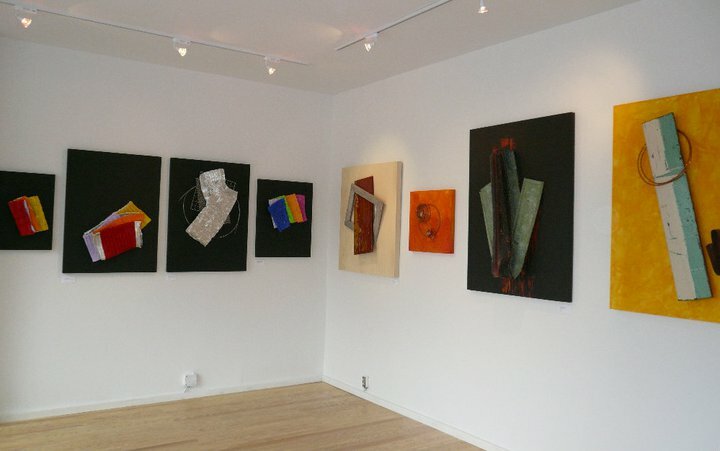 The opening will be on April 7, 2011 at 5:00PM. Binnie hopes that like Gundlock, other artist will come and pitch ideas to him. 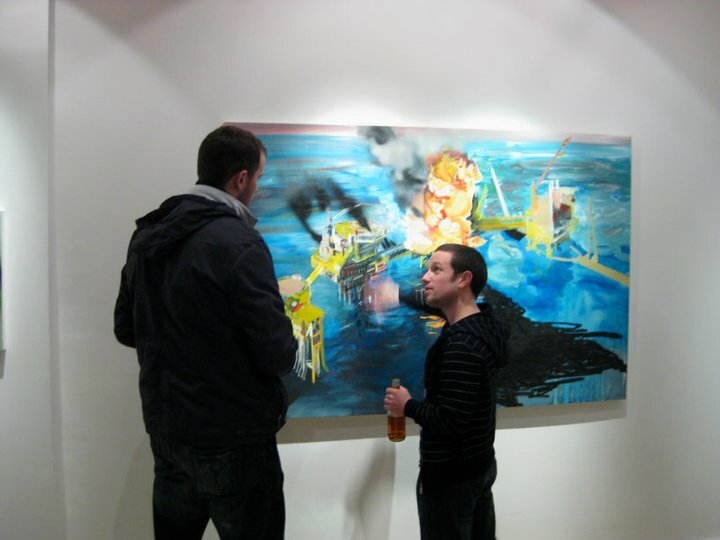 He hopes to see shows of installations, sculpture, and mixed media join the photography and paintings he has displayed. Communication is the underlying theme of all the shows; Binnie sees his gallery as a place for artists to have their message transmitted, witnessed, and appreciated. The gallery itself is a relatively shallow space, which greatly enhances its impact. The gallery becomes part of the street with the works clearly visible to bypassers. 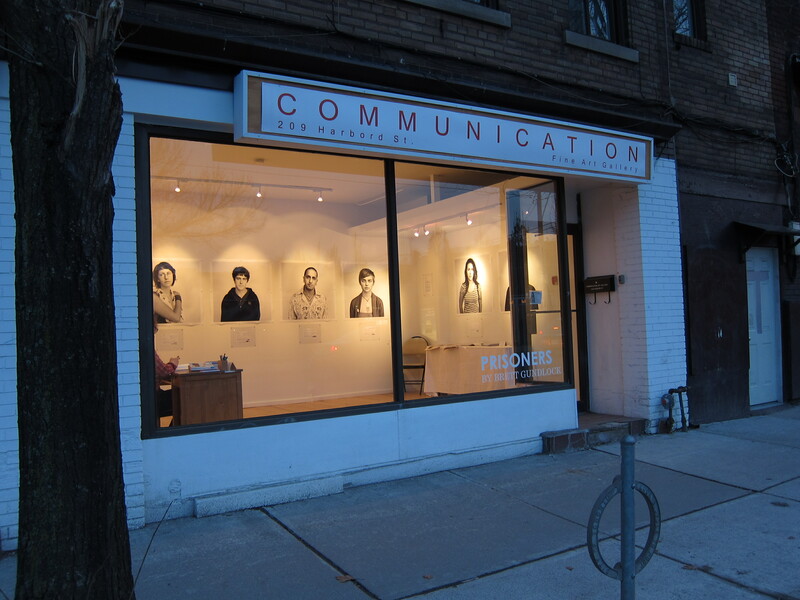 Communication Art Gallery is a welcome and lively addition to the street life of Harbord Street between Lippincott and Bathurst Street. In Arrivals & Departures we document the changes in the commercial/retails strips of the West Annex. See the Arrivals & Departures archive for other articles like this one.